**“Shannon Kaiser is an incredible woman on a mission to help people find peace, happiness, and fulfillment in their lives. Her desire to serve others shines through all of her work.” —Gabrielle Bernstein, New York Times bestselling author Do you feel like you’re not where you’re supposed to be, off track or simply exhausted from trying so hard to make things work? * * Your “true self” has an easier plan—and is just aching to show you the way. ** The relentless pressure to succeed, measure up, and reach for ever higher goals can leave us feeling like we’re just not good enough—or that something’s missing. At the end of the day, after giving it our all, the last thing we want to feel is hopeless, anxious, and disconnected. International speaker and empowerment coach Shannon Kaiser understands why so many of us, despite our best intentions, cling to these patterns. Better yet, Kaiser knows how to get us out of the vicious, draining cycle. Committed to finding meaning, connection, and joy in our day-to-day lives, she’s traveled the world in search of the universal truths and spiritual wisdom we desperately need today. 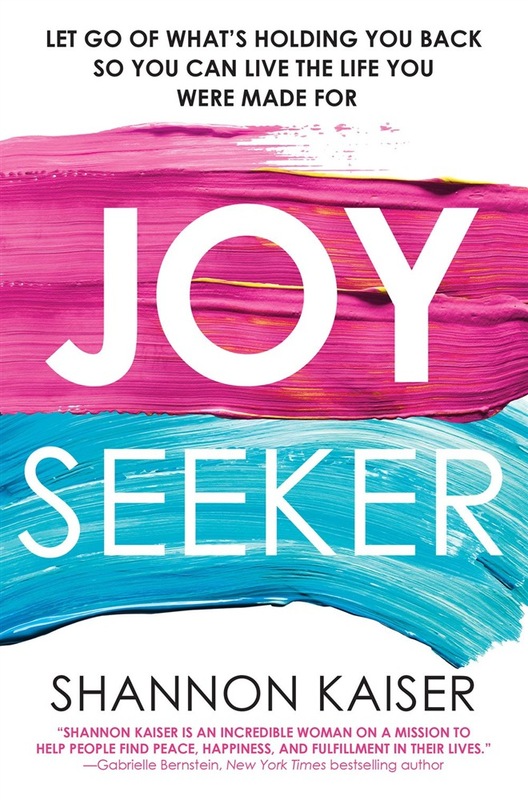 Joy Seeker is her transformational approach to life, drawn from her own life-changing experiences. It is a path to discovering our true self—the hero within. The Joy Seeker plan: • Get unstuck and discover what matters most • Regain hope and faith in yourself, others, and the world • Discover the “poetry within”—that special thing that makes you so unique • Gain the courage to actualize yourself and your deepest desires • Live with more purpose, passion, and freedom The path of the Joy Seeker is an intimate, active pursuit filled with opportunities for journaling as well as “Joy Jaunts”—exercises designed to help us break out of our comfort zone. It’s time to become your best self. It’s time to live worry-free in your wildest dreams. It’s time to be your own Joy Seeker. Acquista Joy Seeker in Epub: dopo aver letto l’ebook Joy Seeker di Shannon Kaiser ti invitiamo a lasciarci una Recensione qui sotto: sarà utile agli utenti che non abbiano ancora letto questo libro e che vogliano avere delle opinioni altrui. L’opinione su di un libro è molto soggettiva e per questo leggere eventuali recensioni negative non ci dovrà frenare dall’acquisto, anzi dovrà spingerci ad acquistare il libro in fretta per poter dire la nostra ed eventualmente smentire quanto commentato da altri, contribuendo ad arricchire più possibile i commenti e dare sempre più spunti di confronto al pubblico online.